Wash rice to remove any dirt from it then keep it in a bowl with water for 20 minutes by stirring occasionally. 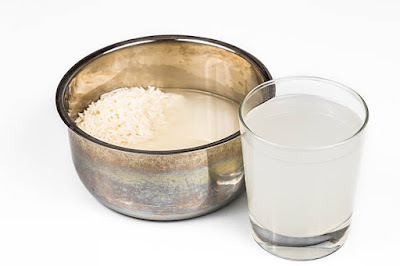 Now strain the water from rice into a bottle or ceramic pot. Keep it in a room temperature for 2 days or until you get a sour smell from the water. Transfer this ferment water into a pan and boil then allow it to cool. You can even add essential oils to it like lavender, rosemary or tea tree oil and use the water alternate to shampoo by massaging gently into your scalp and lengths. Wash your hair thoroughly. Boil one cup of water and turn off the heat once water start boiling then add handful of green tea leaves in it close it with a lid or plate for 15 - 20 minutes. Use natural green tea leaves (instead of tea bags). Strain the tea into a bowl and add 1 tbsp of tea tree oil and mix well. Transfer this mix into an empty shampoo bottle and your Green Tea Shampoo is ready to use. Apply this shampoo on wet hair then leave it for 3 to 4 minutes and rinse hair well. We are suing oil also in it so shake well before use. Mix 1 tablespoon of baking soda with 4 tbsp of water, depending on your hair length you can adjust the quantity. Massage this baking soda mix on your scalp and followed by full hair lengths. Let it be on hair for 3 to 4 minutes and wash it off. Finally rinse with apple cider vinegar as conditioner. Left over mix you can store in a squeeze bottle and keep it in your shower. Very simple shampoo recipe but really good to clean the scalp. 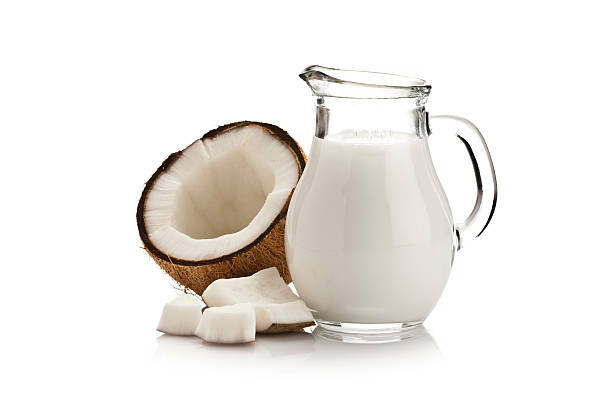 Grind coconut in Mixer Grinder and squeeze the milk out of it. Combine the coconut milk with 1 tsp vitamin E and your choice of any essential oils in a bottle. Shake the bottle well to mix all the ingredients well. Next time when you shower give it a try! Soak 1 tbsp of methi seeds overnight and keep aside. Now take a mixer grinder, add dried powder of reetha or Shikakai, hibiscus leaves and methi seeds and blend them. While taking headbath massage your scalp and hair with this mixture with some water and rinse throughly. 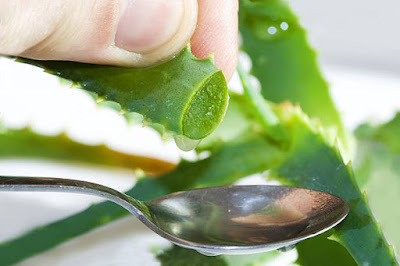 To make aloe vera shampoo you need aloe vera gel and castile soap, take both as same quantity and mix well then add vitamin e and lavender oil to it. Store this in a old shampoo bottle whenever you take shower use this as your shampoo. These are the six alternative shampoo for those who weren’t quite satisfied with the chemical Shampoos. Waiting to know what you think!